L&B – What impressed us the most? Well that’s it, the Light & Build exhibition is over for another two years and our technical team have been reminiscing about what impressed them the most this year. The top themes this year were the “smartification of everyday life” and “aesthetics and well-being in harmony”. A prolific focus has been to create connected solutions which will reduce energy consumption and also offer individual design and high levels of convenience. This is of particular interest for Steon as our design team offer tailored lighting designs and provided innovative bespoke lighting solutions. We also endeavour to implement energy efficient lighting solutions to reduce carbon footprint and provide cost effective projects. The Light & Build exhibition has been a great opportunity for us to put names to what is usually an anonymous face and build personal relationships with both our customers and a number of likeminded OEMs. Overall this business trip has been extremely beneficial as our technical team have been able to look at the latest technologies and see their effects first hand, this is crucial for the development of our skills and technical knowledge to enable us to continue providing lighting products and services on the cutting edge of the industry’s capabilities. 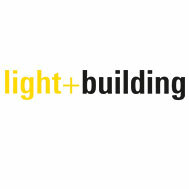 Steon Lighting are thrilled to be attending yet another Light & Building exhibition in Frankfurt, Germany. The doors of the Frankfurt am Main will be opening from the 18th to the 23rd March to over 2,600 exhibitors who will be presenting in in the field of lighting, electrical and electric technology. Digital future meets design hotspot: Light & Building addresses the themes of tomorrow. As a trade fair for innovation, the focus of the exhibition will be on the latest design trends together with ground-breaking technologies and intelligent lighting solutions. As the lighting industry is progressing so quickly, this is the perfect opportunity for our technical team to keep up to date and remain at the forefront of lighting technology. The countdown is on and our technical team can’t wait to see the unique and creative products which inspire the future of lighting. 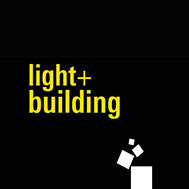 Steon are thrilled to be attending this years Light & Building exhibition in Frankfurt, Germany. 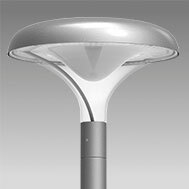 At Steon we are continuously populating our website with new products, one of the most recent being the Civic LED. This contemporary urban design is a combination of performance, efficiency and sustainability with a long service life. The Civic LED is extremely versatile with two versions available, the smart and the comfort. Designed for excellent light distribution, the Civic Smart has a clear optic which is available in symmetric and symmetrical wide, an alternative option is the Civic Comfort which has a cloud domed overlay for perfect glare control. This high quality luminaire contains state of the art technology and is compatible with intelligent lighting control such as 1-10V and DALI dimming.